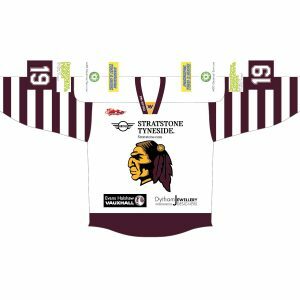 Whitley Warriors can confirm that forwards Dean Holland and Jamie Tinsley and young goaltender Jordan Boyle have all agreed to ice for Warriors for the upcoming season. Dean and Jamie both enjoyed fine campaigns for Whitley last year while Jordan spent the majority of the 2014/15 season with the Solway Sharks in the Scottish borders. 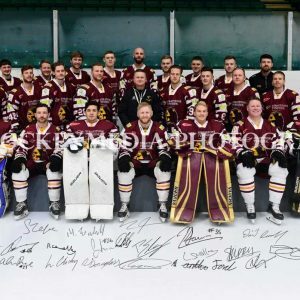 Twenty six year old Dean Holland moved back to Hillheads in the summer of 2014 after icing in the English Premier League for the Guildford Flames for the majority of the previous 2 campaigns. 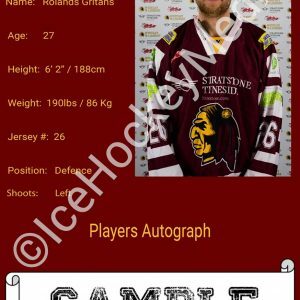 Dean was Warriors top scorer last term with as he was able to tally over 30 points in NIHL North action as well as being a key member of all of Whitley special teams. Dean gave his thoughts on next season and how the arrival of David Longstaff as Warriors player/coach would benefit the club. The 2015/16 season will be Jamie Tinsley’s fifth successive campaign in Warriors colours. Jamie has established himself as one of top forwards in NIHL North hockey during his time at Hillheads and has contributed around 20 points per campaign as well as giving his all for Warriors every time he has stepped out onto the ice. Like Dean Jamie played alongside David Longstaff during his time with the Newcastle Vipers in the Elite League and Jamie gave us his take on Warriors new player/coach. Warriors have also signed up and coming netminder Jordan Boyle for the 2015/16 campaign. Jordan began last season on the Whitley roster however he moved to Solway shortly into the campaign when Sharks required a netminder. Jordan appeared in a great number of games for Solway when Sharks senior goaltender Gary Russell was unavailable and the youngster gained invaluable experience icing both in NIHL North and in the crossover NIHL/EPL cup when he faced top sides from the Premier League on a regular basis. Jordan enthusiastically spoke about his return to the Warriors fold. “I am really looking forward to having Lobby as my new coach and can’t wait for the season to start. It was a very good experience for me at Solway last season and getting a lot of ice time was very good for my overall game. Warriors are set to reveal another 3 signings over the next few days so fans are encouraged to keep an eye on the clubs website and social media platforms.